In the imbalance area, the downlink signal from the macro is the strongest, because it transmits at a much higher power, whereas the uplink signal from the pico node is much stronger, because it is closer. This provides the user with significantly higher uplink speeds than would be possible with macro coverage alone. 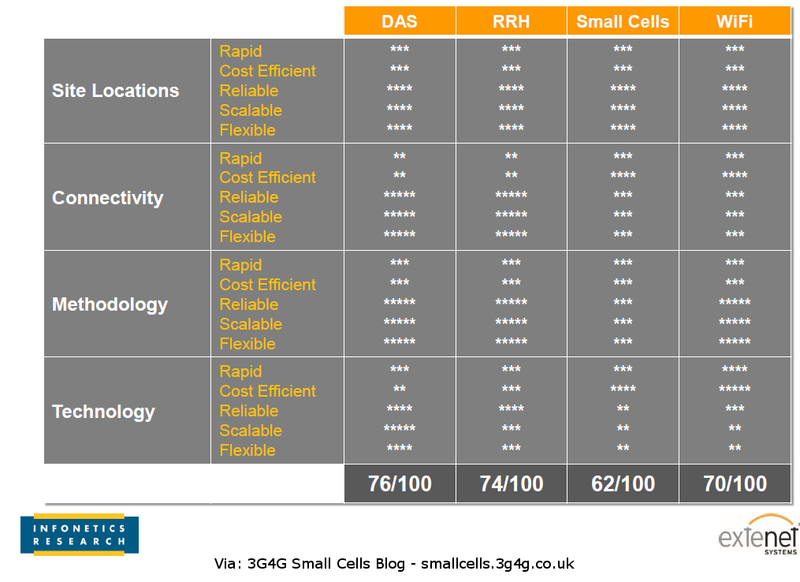 So if we have a macro with an overlay of small cells then the Macro can be used for DL and Small Cells for UL. This scheme is a counterintuitive to what I would have thought. Since there is a higher requirement in DL as opposed to UL, the uplink could be received by Macro and the DL could be sent from pico node. The macro also has bigger antennas and can process weak signals from the UE. The telco has confirmed that Elastic Cell technology is based on the 3GPP Release 11 CoMP specification, but with improved scheduling, energy efficiency, and cost efficiency. SK Telecom says it has applied downlink CoMP since early 2012 and uplink CoMP in April 2014, and both technologies are proprietary technology. 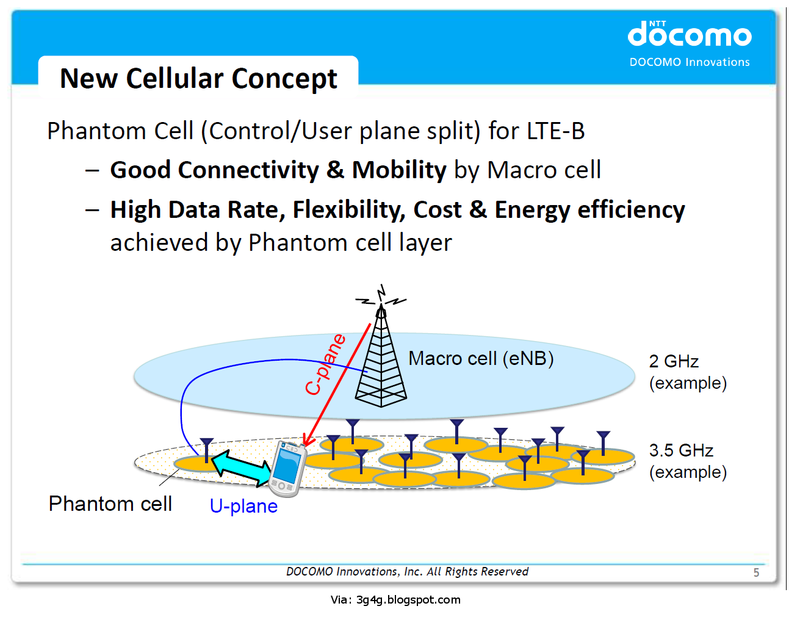 Because coordination between networks will still be very important in 5G technologies, SK Telecom expects that Elastic Cell will become a key enabler for 5G. 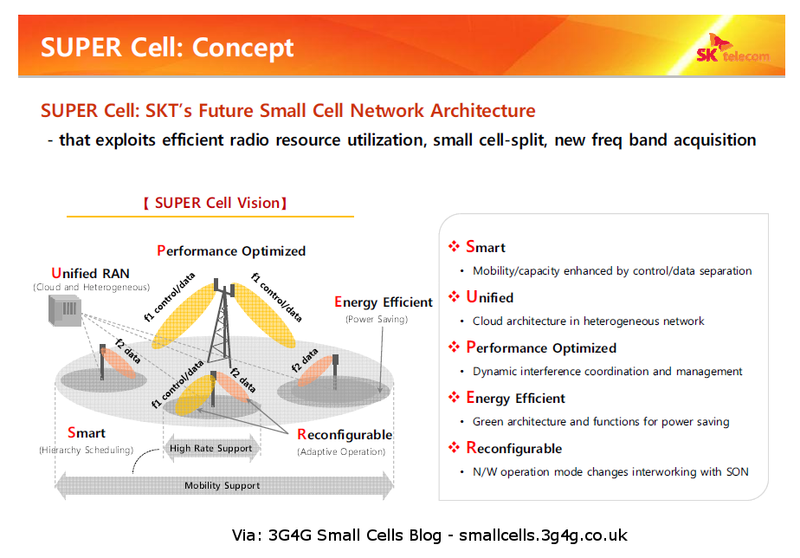 Finally, we also have the SK Telecom's SUPER Cell concept and blogged here. 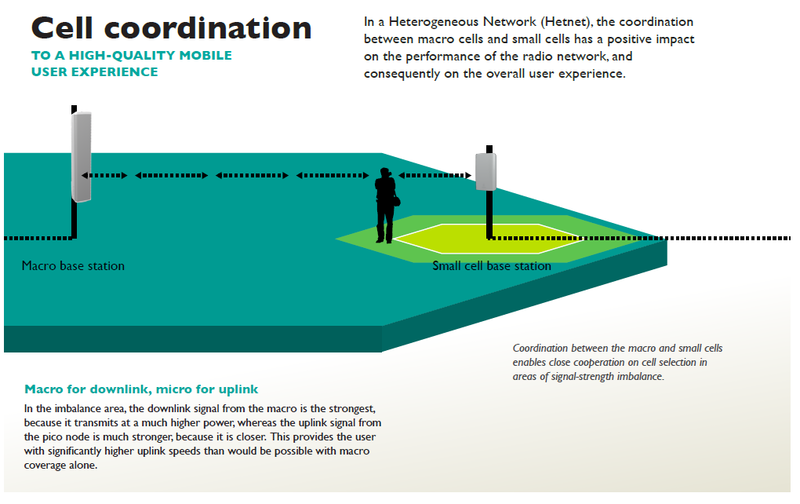 There is a lot of cell splitting in this but again we have the main frequency (lower) being able to do both control and data while the higher frequency is only to do data. Sounds a bit like the Phantom Cell and 'New Carrier Type' as blogged here before. Are there any other types of cell coordination being discussed. Do you have any opinion on them? Feel free to add comments.